Little Erica was the first to enter the world and gave us quite a scare! With the sac glued tightly to her face and Mama unable to free her, we had just a few seconds to save this baby. A warm, wet towel helped free her and Mama Ellie did the rest. 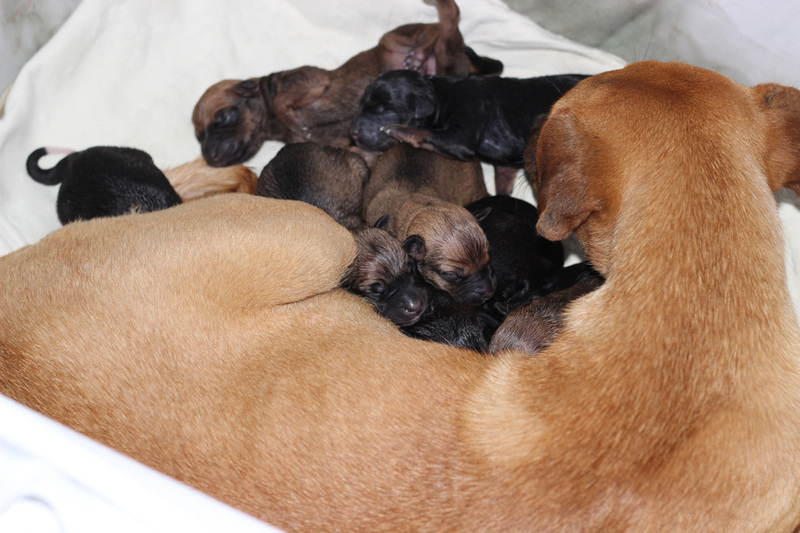 As with all of our rescue litters, each baby will have a name that starts with the same letter as the Mama. After a long night, Ellie delivered 9 beautiful, perfect puppies. CLICK HERE TO MEET THEM! in Uruguay that will be spayed/neutered and vaccinated BEFORE leaving our care.